DESIR OFFERS A VARIETY OF DELIVERY OPTIONS TO SUIT YOUR NEEDS & PERSONAL PREFERENCE. 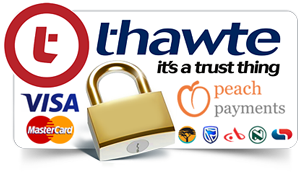 DELIVERING ANYWHERE ACROSS SOUTH AFRICA, ZIMBABWE, BOTSWANA, LESOTHA & SWAZILAND, WE SPECIALISE IN ABSOLUTE DISCRETION & PRIVACY. ALL ORDERS ARE WRAPPED IN A NON-TRANSPARENT COURIER BAG WITH ABSOLUTELY NO MENTION OF THE BUSINESS OR PRODUCTS WHICH YOU HAVE ORDERED. OUR COURIERS ARE WELL-VERSED IN PRIVACY AND OFFER THE HIGHEST LEVEL OF PROFESSIONALISM - AND WILL ONLY EVER HAND YOUR PARCEL OVER TO THE PERSON LISTED AS THE RECEIVER ON YOUR ORDER. Désir offers deliveries straight to your door, the Post Office as well as Postnet. Post Office and Post Net orders may take up to an additional 7 working days to reach the designated post office/Post Net address, whereby you will be notified by the Post Office/Post Net via SMS on your parcel's arrival. For a quicker turnaround time, we suggest allowing our couriers to deliver your parcel directly to your door - whether it be work or home. 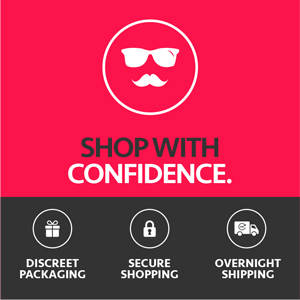 Remember, packages are discreetly wrapped with no mention of the business or products which you have ordered. Couriers are professional and offer the utmost discretion ensuring your parcel will only ever be delivered to the person listed as the receiver on your order. If in Cape Town, take advantage of our same day delivery by placing your order before 10h30am. Alternatively we provide a collection point at our Camps Bay Showroom based at 13 Totnes Avenue in Camps Bay. Showroom hours run from 9am to 6pm weekdays, and 10am to 1pm Saturdays. PLEASE NOTE: Desir receives new stock weekly from our supplier, and due to the limitation of physical space in our showroom, we are unable to hold 100% of our catalogue in our showroom at all times. In the event that you have ordered a product that is not physically available in our showroom, we will expedite your order with our supplier and will receive this within 2 to 3 days of your order. This means that your order will be with you within 4 - 6 working days from your order date, if not sooner. We will always contact you in this regard to ensure that you are satisfied with the above and should you be unsatisfied, we will go to our utmost lengths to ensure you are either provided with a suitable alternative, or we will refund you to the full amount of your order, or by means of a voucher. Orders paid and reflecting in our bank account before 13h30 (Monday to Thursday) form part of our 14h30 courier collection and will be dispatched and delivered within a 24 hour delivery period for all areas which form part of major cities. If you are situated in an area that is listed as an outlying or remote area with the courier company, your order will take additional working days for delivery. If however, you receive an email stating that your product is on BackOrder, this simply means that stock has been delayed (in circumstances out of our control) from our supplier and will generally add an extra day or two onto your delivery time. Our Client Concierge keeps a stringent eye on orders and deliveries and will contact you immediately to confirm an exact delivery time should this be the case. Orders paid and reflecting in our bank account before 13h30 on a Friday will form part of Friday's 14h30 courier pick up. Orders shipped out on Friday afternoons will only be delivered on a Monday for main lying areas, due to the shutdown of our courier company over weekends. Outlying areas can expect their orders to arrive on Tuesday or Wednesday. If however, you receive an email stating that your product is on BackOrder, this simply means that stock has been delayed (in circumstances out of our control) from our supplier and will generally add an extra day or two onto your delivery time. Our Client Concierge keeps a stringent eye on orders and deliveries and will contact you immediately to confirm an exact delivery time should this be the case. Orders paid and reflecting in our bank account after 13h30 (Monday to Wednesday) form part of the next day's courier run and will be dispatched and delivered within 48 hours for main lying areas. If you are situated in an area that is listed as an outlying or remote area with the courier company, your order will take additional working days for delivery. If however, you receive an email stating that your product is on BackOrder, this simply means that stock has been delayed (in circumstances out of our control) from our supplier and will generally add an extra day or two onto your delivery time. Our Client Concierge keeps a stringent eye on orders and deliveries and will contact you immediately to confirm an exact delivery time should this be the case. Orders received and paid after 13h30 on a Thursday form part of Friday's 14h30 courier collection.Orders shipped out on Friday afternoons will only be delivered on a Monday for main lying areas, due to the shutdown of our courier company over weekends. Outlying areas can expect their orders to arrive on Tuesday or Wednesday. If however, you receive an email stating that your product is on BackOrder, this simply means that stock has been delayed (in circumstances out of our control) from our supplier and will generally add an extra day or two onto your delivery time. Our Client Concierge keeps a stringent eye on orders and deliveries and will contact you immediately to confirm an exact delivery time should this be the case. Orders paid and reflecting in our bank account after 13h30 on a Friday will form part of Monday's 14h30 courier collection, to be delivered within our 24 our delivery period for all areas which form part of major cities. If you are situated in an area that is listed as an outlying area with the courier company, your order will take an additional 2 to 3 working days to get to you. If however, you receive an email stating that your product is on BackOrder, this simply means that stock has been delayed (in circumstances out of our control) from our supplier and will generally add an extra day or two onto your delivery time. Our Client Concierge keeps a stringent eye on orders and deliveries and will contact you immediately to confirm an exact delivery time should this be the case. Due to the increase of fraudulent payments, orders paid via EFT may take 3 to 7 days to process depending on the time taken for the transaction to reflect as 'successfully paid' in the Désir bank account. For our protection and yours, no orders will be dispatched prior to a payment reflecting as successful in the Désir bank account. For further info on EFT Payment, please view our "Payment Options" page. Cape Town orders placed before 10h30 daily, are offered a same day delivery service. This means that your order will be delivered to your stipulated Cape Town address during 1pm to 5pm that same day. Any orders may be collected from our Camps Bay Showroom based at 13 Totnes Avenue, Camps Bay during the hours of 9am to 5pm Weekdays, and between 10am to 1pm Saturdays. Please remember to stipulate your request to collect on your order confirmation sheet. Your order will be packaged and placed in a non-transparent courier bag for your discretion. In the event that you would like to change your delivery details or reroute your parcel, we ask that you contact the Desir Client Concierge team (info@desir.co.za; 0860 994 160) to notify them of your request so that they may action this as soon as possible. In the event that our courier company is unable to reach you at your provided delivery address or on your supplied contact number, they will try and deliver your parcel to you again on the next day’s delivery run. Should this still prove to be unsuccessful, they will return your parcel to the Courier Head office, where our courier relationship manager will try and contact you to arrange for an alternative delivery time/address. In the event that this is unsuccessful, your parcel will then be returned to the Désir Head office, where we will endeavour to get hold of you. In addition, our courier company is unable to notify you of exactly when your delivery will take place and as such it is imperative to provide us with a delivery address where you will most likely be during office/day hours as well as a contact number. For your security and ours, we ask that you sign the waybill presented to you by the courier agent, in order to acknowledge that you have received your package safely. With regards to discretion, Désir acknowledges the needs for privacy and security. All orders are beautifully packaged in one our exclusive Désir gift boxes and are placed in a courier bag – completely non-transparent. The waybill attached only reflects your order number and makes no reference to the contents of your package. Our courier company is well-versed in discretion and confidentiality and maintaining professionalism at all times. Our online results give you real-time, detailed progress as your shipment speeds through the courier network. Registered customers, who have created an account can click here to view your order. Guest customers, who have not registered an account or created a login can click here to view the status of your order. To track your order via the Aramex website, using the Aramex Waybill number which you would have received via email, click here to view the status of your order. *In addition, please note that Désir cannot be held responsible for any late deliveries which occur are as a result of accidents, flat tyres, incorrect delivery addresses, flight delays, or any other unforeseen circumstances. Whilst Desir endeavours to deliver all orders within a 24 hour turnaround time, this is only applicable for areas which form part of major cities i.e. Cape Town, Johannesburg, Bloemfontein and Pretoria. Areas that are listed as outlying areas with our courier company will take an additional 2 to 3 working days to get to you. In addition, remote lying areas are only serviced on specific working days and as such will not form part of the 24 hour turnaround time. To avoid disappointment, we urge you to contact our Client Concierge on 0860 994 160 or email info@desir.co.za to ascertain when exactly you will be able to receive your order. Orders are only shipped on working days, exclude weekends, and public holidays. Whilst Désir's service delivery is all about quick turnaround times - in the rare instance that we are unable to honour our dispatch rule, we will contact you personally to notify you of the delay - either by the email or via the contact number which you have provided. Should you wish for another person to sign for your parcel, please ensure this person’s name and surname have been included in the special instruction field on your order advising Désir thereof. Please note our courier company will NOT release the order should either yourself or the intended person NOT be available for collection. This is to protect both yourself and Désir in the event of non-delivery and to ensure that the intended person receives your goods. In the event that you or the intended person is unavailable, the courier company will retain your parcel and notify Désir in order to contact you and make further arrangements. In the event that you have not received your parcel within the specified delivery period, and it has been noted as delivered on our system, Désir will follow this up with an investigation with our courier company. They will ascertain if a signature was received for the parcel and if it was delivered to the correct address. Should the courier company advise that your parcel was received at the correct delivery address stated and that it was signed for by the intended recipient, Désir will not be held liable for any refunds in this regard pertaining to non-receipt of your goods. The onus lies on the customer to ensure that they are available to receive and sign for the said order, or that specific persons have been identified as the correct and authorised recipient of their order. This needs be noted on the special delivery instructions on your order as above. International delivery charges vary and are calculated based on the destination, size, weight, and value of your order. It is therefore imperative to opt for the EFT payment option once you have proceeded to checkout, which will allow the Desir team to obtain the most accurate quotation from our courier company. Once we have received this quotation, we will contact you with the amount whereby you will have the option to proceed with your payment or cancel if you so wish. Please note, Désir will subsidise as much of the delivery cost as possible, and will deduct the South African VAT listed on your invoice from your shipping charges. 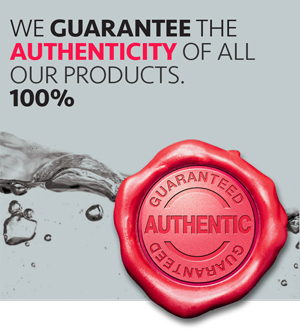 Once your proof of payment reflects in our account, we will then ship your order. Deliveries take anything from up to 4 to 8 working days (provided there are no unforeseen delays). Once your order has reached the country which you are sending it to, a customs clearing agent will contact you on the number which you have provided, to advise you of the customs clearance and VAT fee applicable to your order. They will advise you of the payment banking details thereof – please note you are liable for these charges, and your order will not be released by Customs until such time that you have processed the payment. Handling fees may cost up to 10% of the total invoice value and Désir is unfortunately unable to control these charges as they are determined by the customs office in your country. Customers in Namibia and Botswana are liable to pay for the VAT applicable, but are generally exempt from the customs clearance fee.